Sometimes you really can go home again! Such a heartwarming story! It’s a reunion with your one true love type of story, and also filled with emotion pulling moments as she relearns the importance of living her life when a life changing medical diagnosis shifts her future. Great characters, great connections, and I can’t wait for more from Cross Creek! 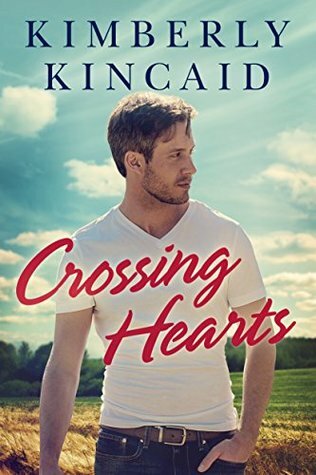 Hunter Cross might have never left the comfort of his home town of Millhaven, Virginia, but he has no regrets. He lives for the connection he enjoys working every day on his family farm with his father and brothers by his side. He wouldn’t have it any other way! When an accident takes him out of commission for awhile, he’s mighty unhappy about that … especially when he catches sight of who is going to be in charge of his physical therapy for the next few weeks! Emerson Montgomery made a promise to herself a dozen years ago to never step foot back in this town again .. yet here she is … and running into her high school sweetheart right off the bat! She left her high powered job with an NFL team in Las Vegas to come back home and settle into a small side-practice with the local Doc while refusing to tell anyone why she’s suddenly downgrading her life. As Hunter and Emerson spend time together for his therapy, they talk and begin to be friends again. When it slowly turns into wanting those same old things with each other, she finally trusts him enough to admit her medical issues. Will she find a way to let down her guard and move forward with a future with him, or will she keep putting up these walls and refusing to get the help that she needs from everyone around her?